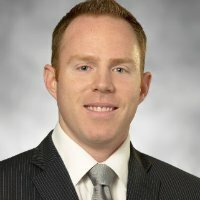 Sean P. Reynolds earned his Juris Doctor degree from Thomas Jefferson School of Law in 2006 completing the program in 2.5 years. In 2007, after passing the bar on his first attempt, his bar essays were published by the California State Bar as model answers. Mr. Reynolds soon thereafter joined the largest plaintiffs’ securities litigation firms in the nation. After determining securities was not his passion, Mr. Reynolds joined one of the largest intellectual property litigation firms in the nation. After dissatisfaction with his ability to meaningfully participate in large national cases at that firm, he joined Balestreri, Pendleton & Potocki focusing his attention on construction and business related issues. After defending numerous large business and multi-home construction defect litigation suits, Mr. Reynolds joined a national insurance company serving as coverage counsel and rewriting its Commercial General Liability insurance policies. Later, Mr. Reynolds served as that carrier’s in-house counsel and then defense counsel for all California claims. In 2011, Mr. Reynolds founded US Construction Law. Mr. Reynolds currently represents developers, subcontractors and business owners on construction and related business claims. Analysis of insurance coverage and multi-carrier additional insurance coverage.